Then the skies opened up, and it poured. 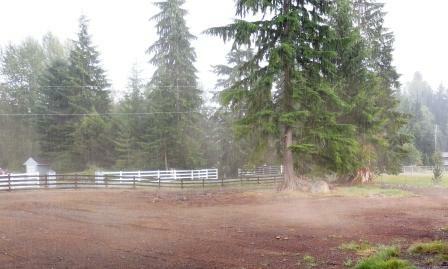 It rained so hard, it raised the dust! You can see the clouds of it rising from the ground. 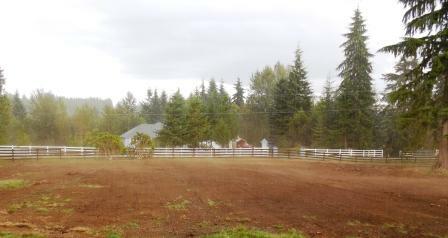 The raindrops were huge, and the dirt flew for the first few minutes. It settled pretty quickly, and it poured for about ten minutes more. Just enough to get the dust out of the air, and then it stopped. The mugginess reminds me of the years we spent in Arkansas. Thankfully, we don’t have the June bugs and cicadas as well. The other bonus: Here, it smells wonderful after it rains! This entry was posted in Gardening, Projects, The Present Insanity and tagged dust, dust from the rain, rain. Bookmark the permalink.